Happy Friday! It’s the end of May and time for our monthly blog update. BTD officially turns 21 years old: I’m pleased to note that BetterThanDiamond has officially turned 21 years old this month! Fairly amazing to realize that, but at the same time, we’re just getting started with the Amora Gem and have a long ways to go for expanding it around the world. Thanks for your support over the previous years! Oval and Radiant Amora Gems coming this Fall! b)maximize fire and maximize brilliance. We’re still testing the final version to ensure everything is as perfect as we can make it. We have an Oval page on the site now but not much info yet until we get production going. The Radiants are still early in computer modeling and are not as far along as the ovals. Amora Gem now being worn by Royalty: I’m pleased to announce that we’ve officially sold the first Amora Gem to go to, and be worn by, a royal person. Obviously I can’t provide details, but it is a nice marker to note that we have a former Miss America and now royalty both wearing the Amora Gem! 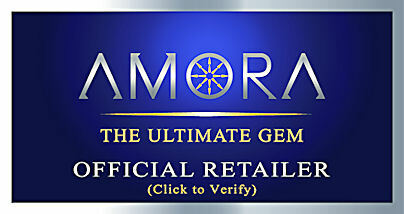 Official Retailer’s and new badges: We have been starting to expand our wholesale network for the Amora Gem and as part of that, we wanted to ensure that genuine retailers were easily identifiable and as part of that we’ve setup a new badge system that retailers will display on their site along with a ‘click to verify’ feature. BTD website will soon be fully mobile enabled: The percentage of people accessing our site via mobile (phone/tablet) has been growing dramatically and so we are making our site responsive to mobile screens. This will allow it to dynamically resize everything on the fly to ensure easy viewing regardless of phone/tablet size. Asha restock in progress: While we don’t mention the Asha nearly as much as Amora, Asha sales continue and we’re now sold out on a number of sizes. We do have a pretty large restock in progress and should have those ready by mid-July. That’s it for this month! Hope you have a great weekend, a great June, and see you the end of next month! Asha restock – including rounds, cushions, and princess cuts! We have completed a long-awaited and substantial restock of some sold-out Asha simulated diamond options, including 6.5-8mm cushions, 6-7.5mm princess cuts, and 3-9mm rounds! We also have a limited inventory of 11mm, 12.25mm and 14mm rounds available. The president of BTD has posted the latest news on our discussion board, and there is a lot of news this time! Rough for .50ct Amora Ultra rounds! I’ll start off with the biggest news which is we were able to grow some new rough suitable expressly for .50ct Ultras. Continued work on 1ct Ultra rough growth: We had a few more 1ct rounds recently but those basically came and went as soon as we had posted them out for sale. We are working hard to fill that gap with more Ultras. Fancy cut updates: As promised in our last update, we expected to have the first Ultra H&A cushions out for sale and we were able to do that. We will have a few OEC’s out next month – however, after that we will need to focus on Ultra round production and thus will be indefinitely postponing any more work on Fancy cut Amora Gems. Demand for fancy cuts is substantially lower than the rounds. The round wait list numbers simply dwarfed that of all the other cuts combined, many times over. In addition, it’s simply a question of focusing our limited resources and those are currently best focused on the Ultra rounds, which we already have the most expertise in producing. Timeless Regal continues taking off as our best-selling ring: The Timeless Regal has handily become our best-selling ring and the preferred setting for our Ultras. Amora enhanced Moissanite production expands: We’ve been able to increase our Amora enhanced production this past month, and are now getting into a true production mode at last. That’s it for this month’s update! Next update we should have the few OEC’s finalized and then will likely have some news on several resellers around the world for the Amora Gem Ultras! 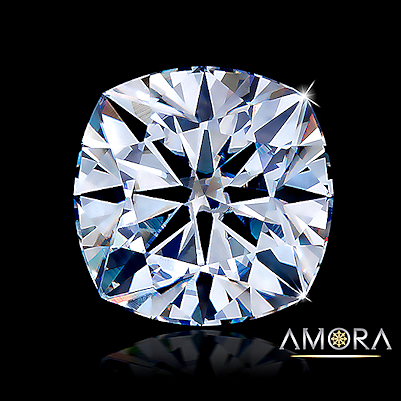 The full post, with a lot more news, examples of the types of cuts rejected for our Amora enhanced Moissanite and further details about the fancy cut Amora Gems can be found on our discussion board here! 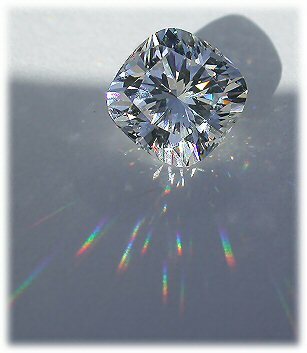 1ct / 6.5mm Amora Gems a reality! 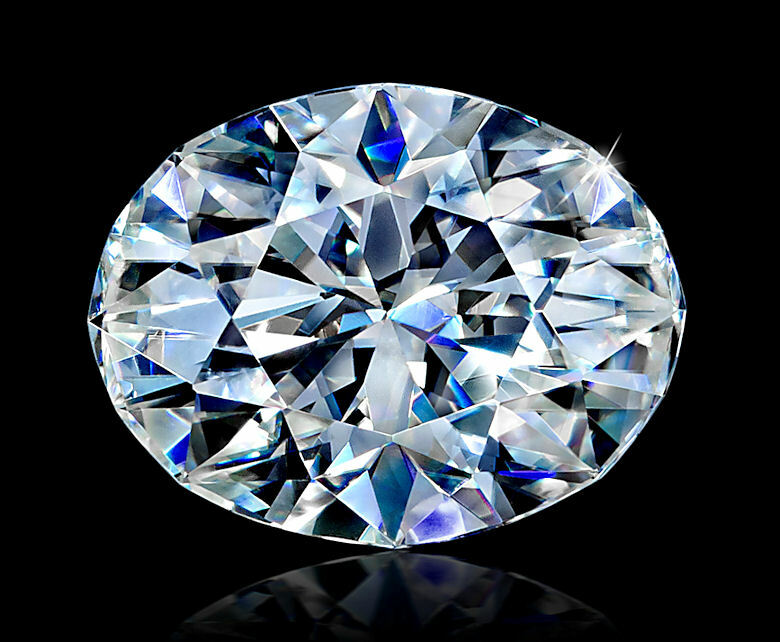 I’ll start with the biggest news for this update – we have now successfully been able to grow, cut and finish the necessary ‘split crystals’ such that we are able to sell 1ct Amoras (6.5mm) and also 6mm (.75ct) at the hoped for $599/ct for F/VS! 7.5mm and 8mm Amora Gems largely sold out – more coming: We’ve largely sold out of the 7.5mm and 8mm size rounds, so we are prepping another run of both sizes. Hopefully both will be restocked by the first week in December. Amora Gem and Diamond Testers – will test as diamond on many: With Amora Gem getting out to more customers, some jewelers started reporting that Amora Gem was testing positive on their diamond testers. Amora Gem cushion cuts and Krupps cut coming by year end: We’ve had some rough over the past few months that is ideal for both Krupps and Cushion cuts…and thus, starting this week, we’ve begun processing some of the first Amora Gem cushions and Krupps cuts. These will likely be ready for sale by the end of November and we’ll be contacting those on the waitlist in non-patent countries for the respective cuts/sizes that finish. The full post, with much more news, details, information & updates can be found on our discussion board, here! Asha Hearts & Arrows round restock! We have just completed a substantial restock, including some previously sold-out options in the Hearts & Arrows round Asha simulated diamonds. We replenished sizes from 4mm up to 9mm in the H&A rounds, as well as the 5mm (or .75ct diamond equivalent) in the princess cut.